Today marks one year until the official launch of the two new members of the P&O Australia fleet. The Pacific Eden and Pacific Aria will be formally introduced to the P&O Australia family during a public performance in Sydney Harbour. Joined by the Pacific Pearl, Pacific Dawn and Pacific Jewel, the two new ships will be orchestrated in an elegant water ballet. With their navy blue hulls, Eden and the Aria will be instantly recognisable from their sister ships. As the centrepiece vessels of P&O Australia’s new ‘Like no place on Earth’ marketing campaign, the two new ships will embark upon an exciting debut summer season on the seas. Highlighting the evolution and advances of cruising, all five members of the P&O Australia fleet are offering new, diverse dining options during the launch. Eschewing the traditional buffet fare, the ships will offer a varied range of culinary treats across The Pantry – a multi-station food court. Highlights of The Pantry include pan-Asian dining at Dragon Lady, modern Australian cuisine at Waterfront and fine Italian at Angelo’s. The pool areas have been reworked in a contemporary style with abundant flora to welcome the guests. A redesigned atrium is situated alongside longstanding features including Luke Mangan’s Salt Grill and P&O Edge. 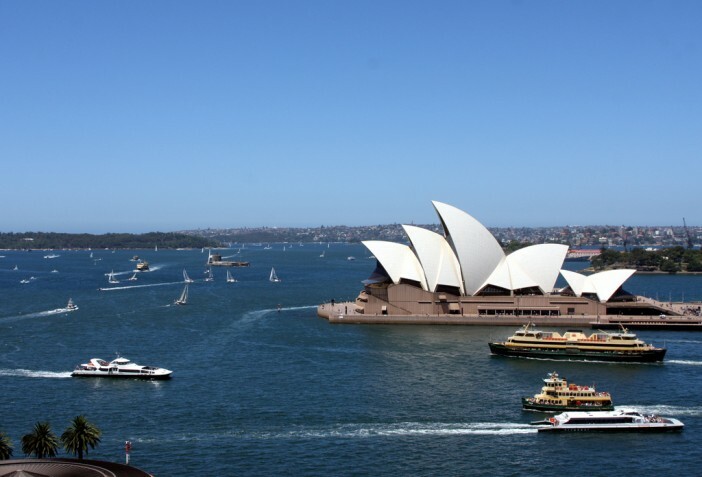 Click here for a full range of P&O Australia cruises from Cruise1st, or call our dedicated team on 1300 857 345.